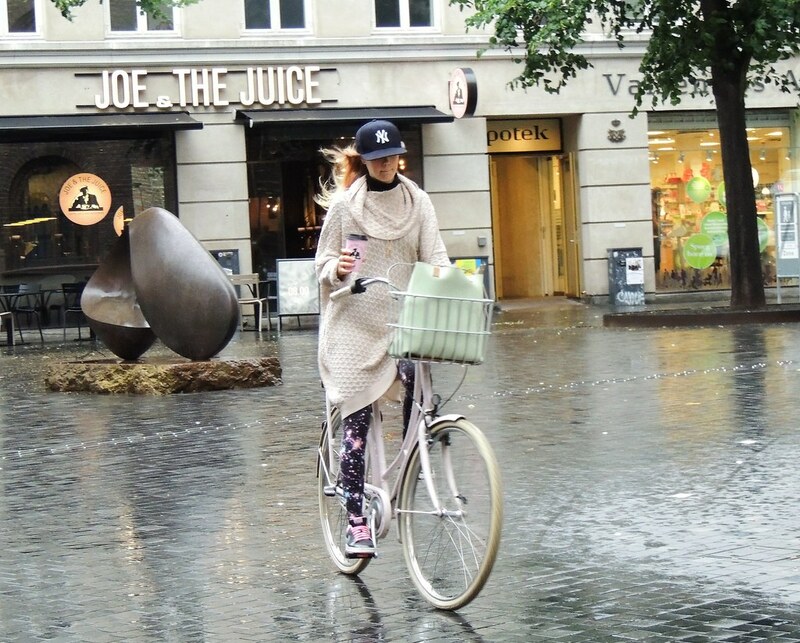 Well, hello there ;) Finishing my Cycle Chic guest blogger darling Friday duty - for now - with a photo of a Copenhagen cyclist who just doesn't seem to notice the pouring rain. Love it! Thank you, guys, for looking into Cycle Chic, especially on (my) Fridays - take care out there! What a cute girl.....and great style!!! !